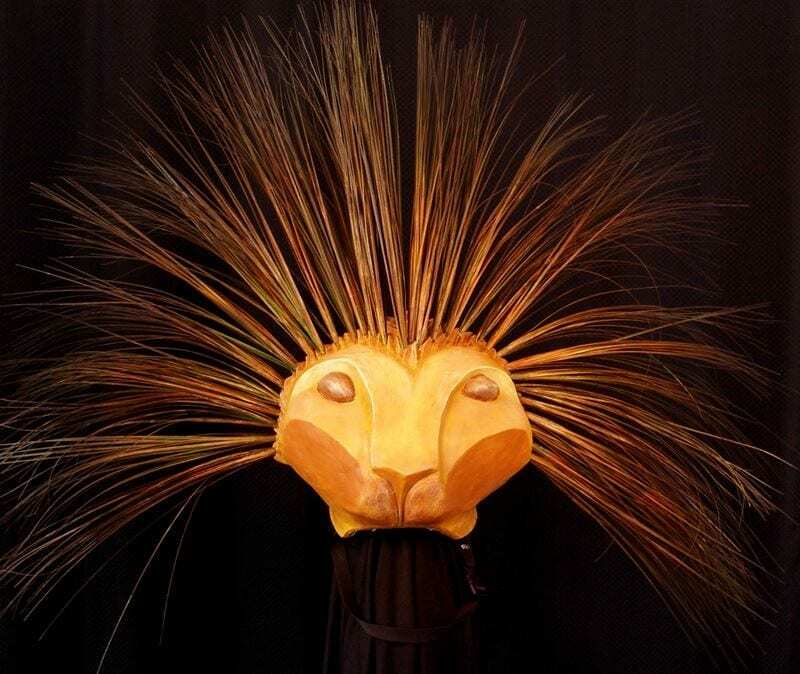 The king of the jungle lion headpiece was inspired by the top hat style masks created by Julie Taymore for the musical The Lion King. This particular lion mask was created for a client in Detroit working with children on songs and scenes from the Lion King. The Mask is worn on top of the head and the mane/hair is created with plastic grasses. In this way the Lion is both the lion and the grasslands upon which it lives in Africa. The Lion at the top of the food chain and considered to be one of the most powerfully dangerous predators on the African planes. It is majestic and calmly reigns over the pride. The social ladder is climbed and controlled through a violent play of power and a fight to remain king.